Norwood Stools 5-Pack Just $31.32! Down From $60! PLUS FREE Shipping! You are here: Home / Great Deals / Amazon Deals / Norwood Stools 5-Pack Just $31.32! Down From $60! PLUS FREE Shipping! These are so nice! Head over to Amazon to score this Norwood Stools 5-Pack for just $31.32 down from $59.99 PLUS FREE shipping! 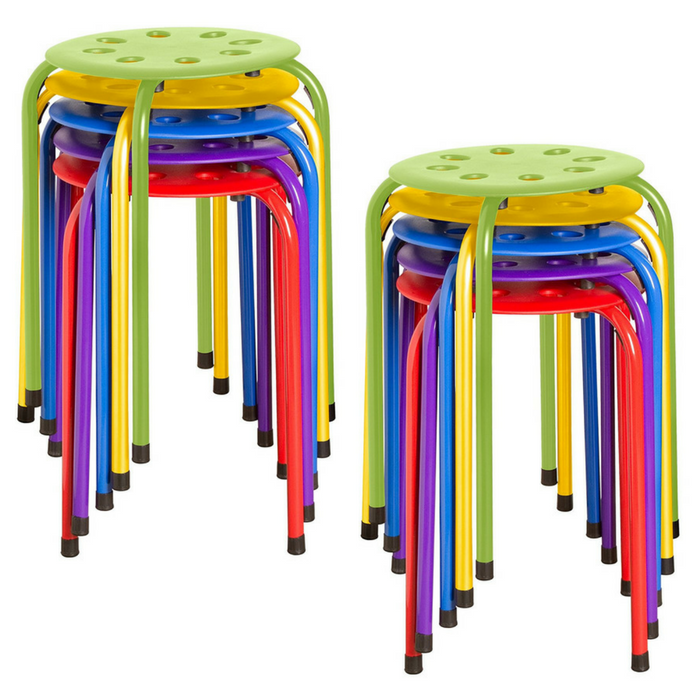 Norwood Commercial Furniture’s Assorted Color Plastic Stacking Stool is a simple, portable seating option for schools and offices. This stackable stool’s light weight makes it easy to pick up and move. The stools stack up to 10 high for storage. Must be ordered in multiples of five. Each carton includes one red stool, one blue stool, one yellow stool, one green stool and one purple stool. I love them!